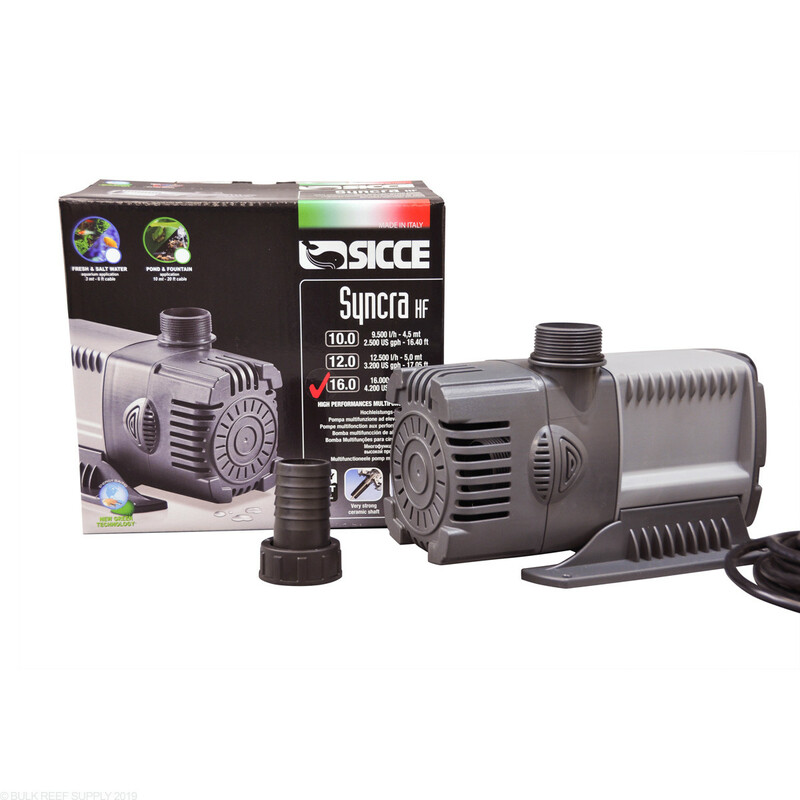 I bought a Sicce Syncra HF 16.0 Pump from BRS about 2 1/2 years ago. The impeller has had to be replaced twice now (the metal shaft connection to the plastic blade breaks). It is also unreliable as it randomly stops working for no reason until it is power cycled. The threaded connection on the top of the outlet never screwed together very well (if you turned it too tightly it would strip and become loose - it seems as though the threads are not the right size for both adjoining pieces). My Tank has suffered multiple times now due to this Pump failure and now I need to go buy a new pump just to keep things alive because SicceUS.com warranty department is not answering phone calls and not responding timely for service. 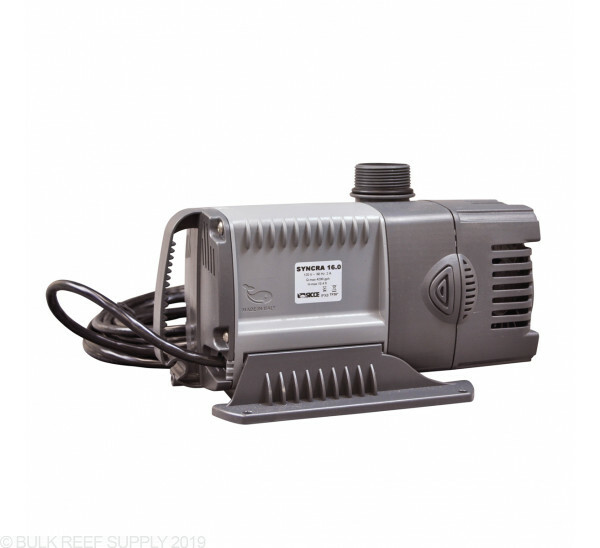 Would NOT recommend this Company or their Pumps! I have two Syncra HF 16.0 that I DID NOT buy from BRS; this is just a product review. One of them is too load but working constantly. Of course it’s not a healthy pump noise and it is driving everybody crazy; bad news for the success and longevity of my hobby!!!! The other is much quieter and very acceptable (I assume that’s how it’s supposed to sound like); but it’s totally unreliable as it keeps shutting down! It could work for a couple of days, but then it just shuts down. During those couple of days, I keep hearing it (every three-four hours) trying to either shut down or restart for two-three times as its still running; then again, eventually it shuts down. I tested it in two situations; one while connected to the return manifold. And the other in a bath tub to relief it of any pressure caused by the manifold to see if that was a problem. It’s acting the same in both situations and eventually shuts down!! 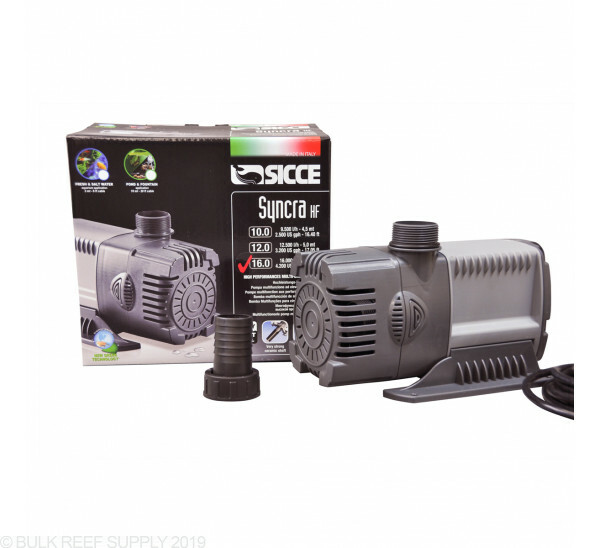 So it’s one of two; either I’m very unlucky to have bought the only two defective Sicce pumps; or, Sicce is not one of the best pumps as it claims since 100% of my purchase from them is defective! Either way, I already cancelled my other Sicce pumps and powerheads that I was planning to buy until I understand what is going on. Of course both pumps are acting like this since day one. 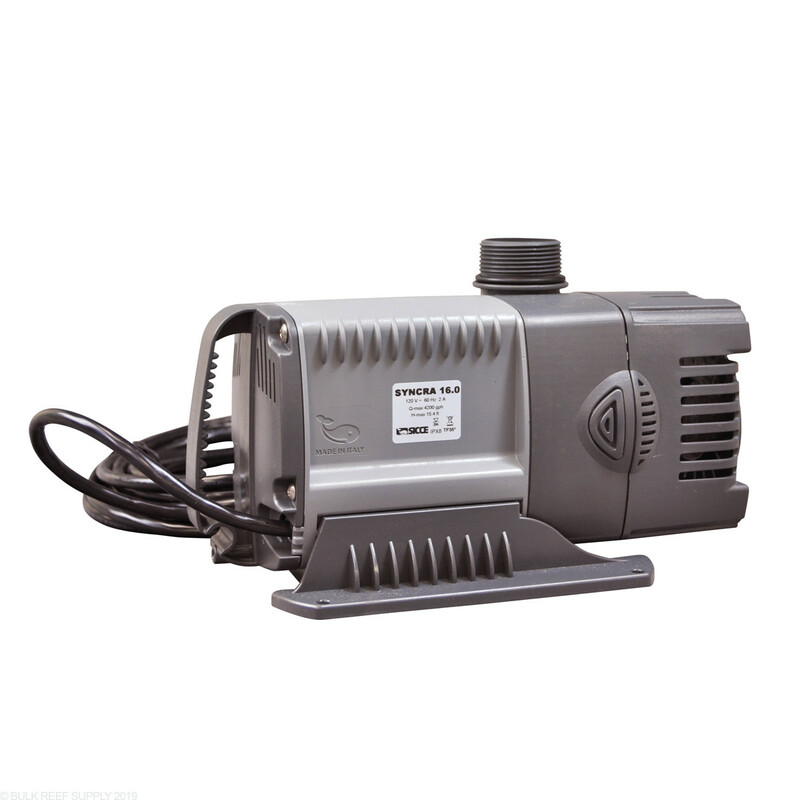 this pump is very powerful and excellent .